First Utility is one of Britain’s largest suppliers of energy, apart from the ‘big six’. Are their high ratings well deserved? What do they offer their customers? Founded in 2008, First Utility is one of the largest energy suppliers other than the ‘big six’, claiming to supply over 1 million homes in the UK. Not only have they managed to increase their customer base quickly thanks to industry-leading deals, but they also were the first energy company to supply smart meters. According to Which?, First Utility was rated 12 out of 31 in their 2017 annual survey, which took the opinions of over 8,000 individuals to rate successful energy companies. Their high rating was due to the clarity of their bills, their customer service and value for money. First Utility offers more than just energy, to see more skip to the core services and offerings section. First Utility has a one-stop shop for your home’s needs, supplying your energy but also offering some other packages for the rest of your home too. Take a look at some of the options below for more information. 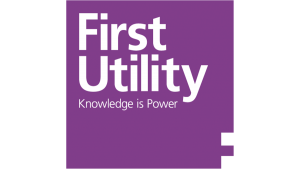 First Utility offers their customers a range of different tariffs, some of which offer a fixed price guarantee that means your bills won’t suddenly increase until after the guaranteed period is over. Another benefit is that although they do not offer dual fuel discounts, which is when you get your gas and electricity from the same supplier, they have lowered your actual rate per unit, meaning that you are getting savings on your energy all year round. First Utility offers their customers an easy to use app that allows you to see where you are using your energy and how you can save money by doing simple things like turning your TV off and your average running costs. What exactly is a ‘smart meter’? This is the name given to a meter that accurately documents your energy usage and sends the information back to your supplier. This means an end to estimated bills, where suppliers guessed your general usage with the occasional meter reading and based on the size of your home with the number of people that live in it. It means you could be saving a lot of money on a monthly basis. This probably costs a lot of money, right? Wrong. Not only do energy companies have to offer you a Smart Meter, but they will give you one for free till 2020, which means you have around two years to claim yours. First Utility offers several broadband packages that vary mostly on price and maximum speed. If you have an issue with slow internet speeds when you’re at home, choosing a package like the Ultra First Broadband may be best for you. Powered by Bizzby, this function on the First Utility website allows customers to choose what job you need doing, whether you need an electrician, plumber or a smart meter installation, then pick date and a time that is best for you and you get matched to trusted top-rated professionals. Out of almost 32,000 reviews on Trustpilot, First Utility have an overall score of 4-stars out of 5, making them one of the highest rated suppliers with one of the highest number of reviews. I am a new customer and have found the transition very easy as first utility did everything. When I had a query, the chat line person was extremely friendly and helpful. Do not wish to keep customers as apparently they have enough! Unable to have a conversation without being sarcastic and downright rude! Would not recommend them to anyone (even to my worst enemy). First Utility has an overall positive score on Trustpilot, with 46% positive reviews, 12% negative and the rest falling somewhere in the middle. Many of the verified negative reviews seem to be concerning miscommunication which can often be a one-off situation. Although online reviews aren’t always accurate, it is still essential to take them into consideration when deciding whether to switch suppliers. Have used First Utility previously and happy with how easy it was to update meter readings and keep track of bills. Changed a year ago due to pricing to another supplier, couldn’t do any of the things I could with First Utility. Turned back as soon as I could and so happy I did! Signed up specifically for a smart nest thermostat following the promotional links carefully. It turns out that First Utility sneakily put me on a different tariff which did not include the specific smart meter. Extremely disappointing. First Utility is a good fit for a household that would like to get its energy, broadband and home fixes all from the same company. First Utility is a one-stop shop for many of your household’s needs, including energy, broadband and for finding specialists to help you with any fixes like plumbing, electricians and smart meter installations.